The weekend of Friday, July 12th to Sunday July, 14th will see Rochester and the wider Medway come alive for what’s being termed Medway’s Big Weekend. 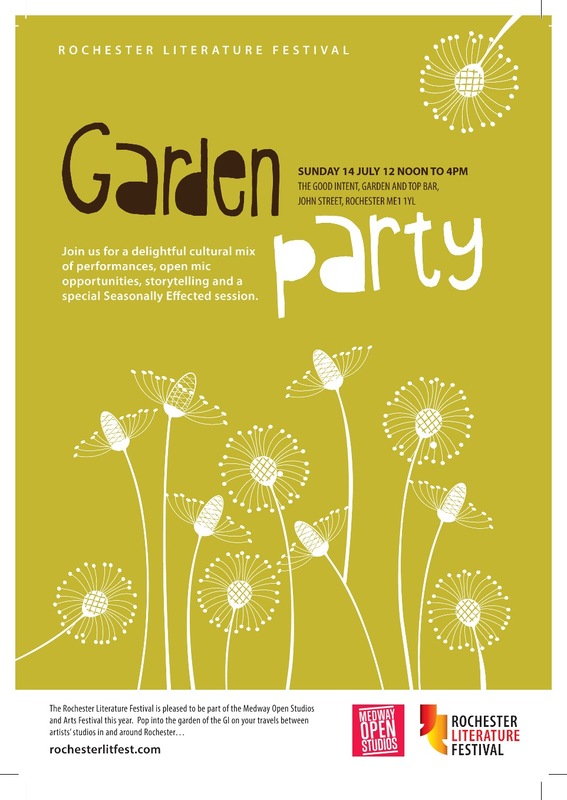 Having made a fantastic debut at Eastgate House Gardens last year, we’re holding our Summer Garden Party on Sunday 14th July, at the Good Intent Pub in John Street, Rochester, between 12noon and 4pm. Join us for a delightful cultural mix of performances, open mic, storytelling and a special edition of Seasonally Effected. For the first time, the RLF is a part of the Medway Open Studios and Arts Festival, which begins on Saturday, July 13th. If you’re out and about on the Sunday, pop in to the garden of the Good Intent on your travels between the artist’s studios in and around Rochester.